Kylee Epp, Laura Hastings, Marty Robson et al. Ashleigh Ball, Sam Vincent, Tabitha St. Germain et al. All 26 episodes from the first series of the animated children's show. 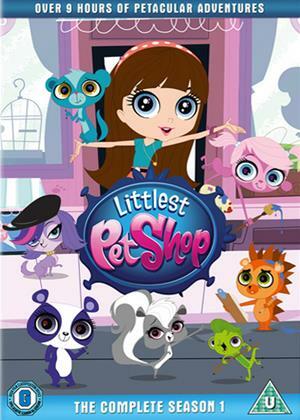 When Blythe Baxter (voice of Ashleigh Ball) is forced to move to the city for her dad's new job, she moves into an apartment above the Littlest Pet Shop and discovers she can communicate with the store's various animals. Blythe sets her new friends free and takes them on adventures across the city. The episodes are: 'Blythe's Big Adventure: Part 1', 'Blythe's Big Adventure: Part 2', 'Bad Hair Day', 'Gailbreak! ', 'Penny for Your Laughs', 'Mean Isn't Your Colour', 'Russell Up Some Fun', 'Blythe's Crush', 'Dumb Dumbwaiter', 'Eve of Destruction', 'Books and Covers', 'So You Skink You Can Dance', 'Lights, Camera, Mongoose', 'Trading Places', 'Topped With Buttercream', 'Sweet (Truck) Ride', 'Helicopter Dad', 'What's in the Batter? ', 'What Did You Say? ', 'Bakers and Fakers', 'Terriers and Tiaras', 'Lotsa Luck', 'Door-Jammed', 'Frenemies', 'Blythe's Pet Project' and 'Summertime Blues'.